Hello everyone! 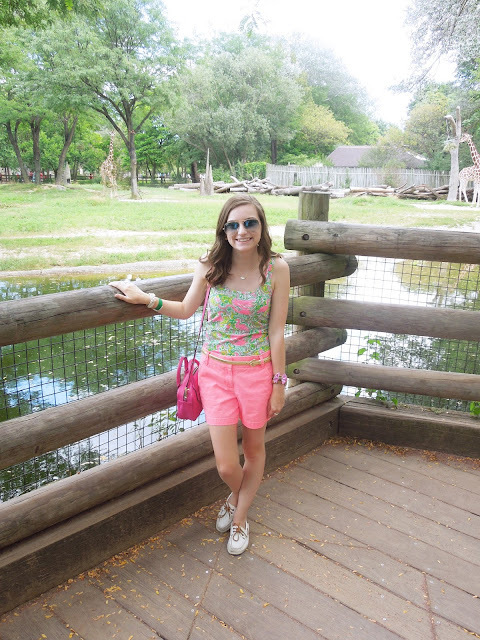 Now that summer is over, I am longing for fun summer days! During my last few weekends of summer I did a ton of fun activities including going to the Brookfield Zoo. 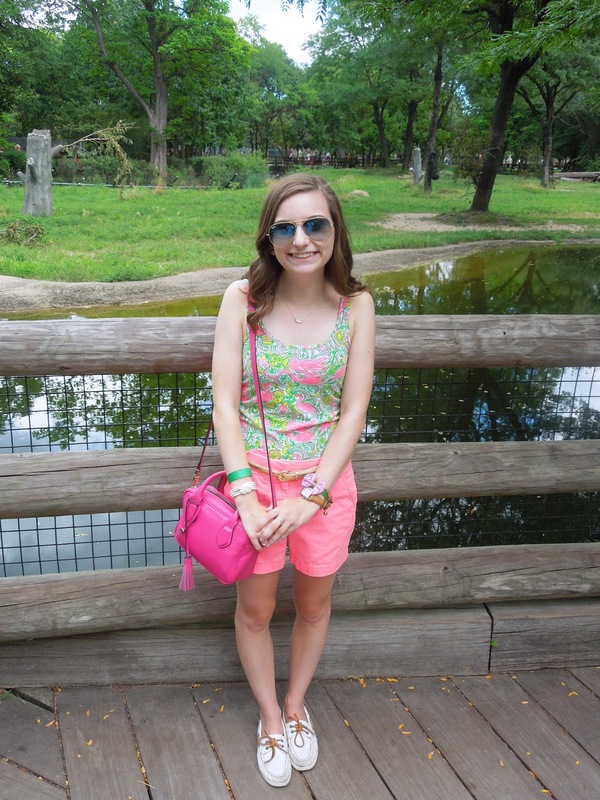 Here is what I wore for a casual da at the zoo with my family. For a day at the zoo I wanted something comfortable but of course cute. 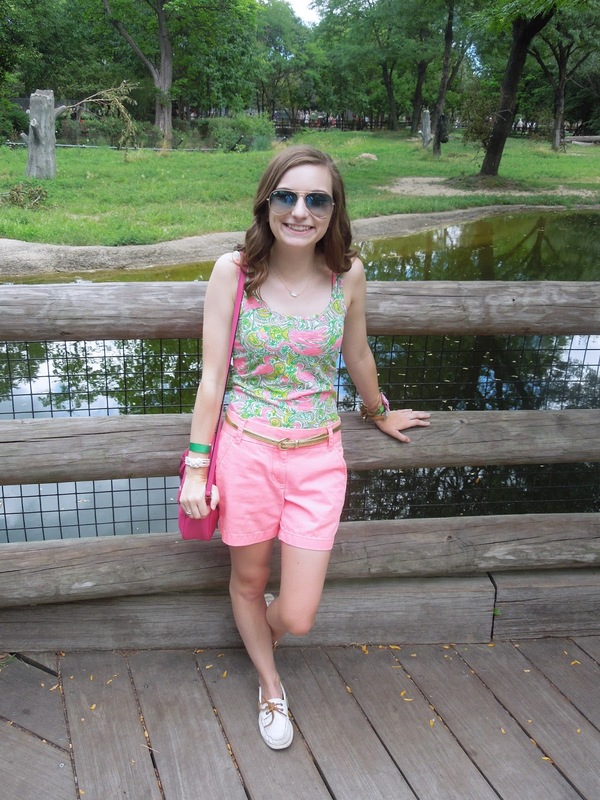 So, I paired a stretchy Lilly tank top with a pair of bright pink chino shorts. 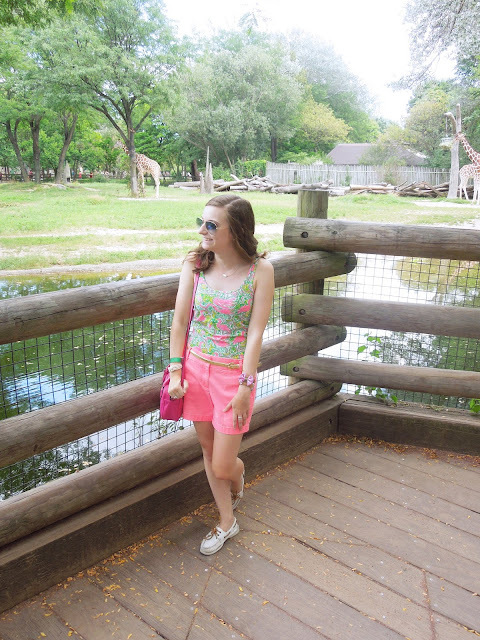 During the summer I live in these Lilly tanks because they are uber comfortable and flattering on my petite frame. 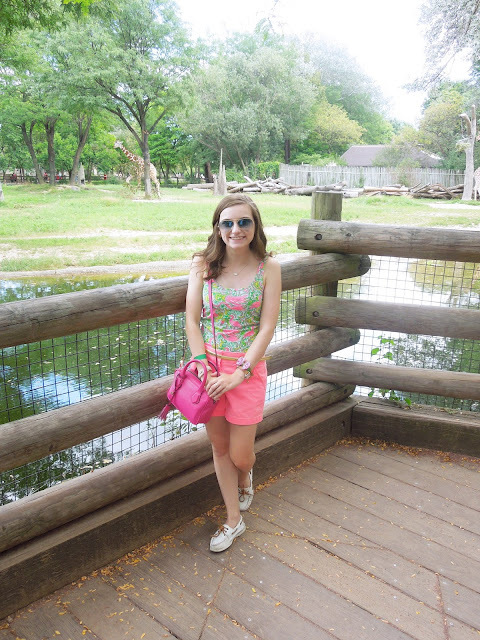 I especially love this one because of the flamingo print because duh flamingos are the best! 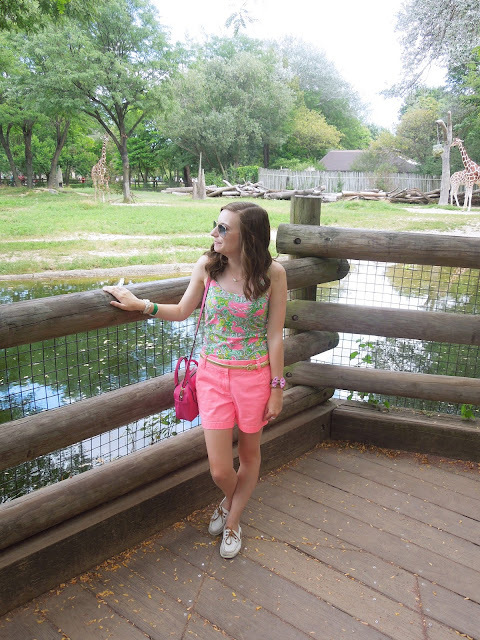 Sadly, at the Brookfield Zoo they don't have flamingos, so I settled for taking my pictures near my second favorite animal the giraffes! I wore these white canvas Sperrys because they are also very comfortable. 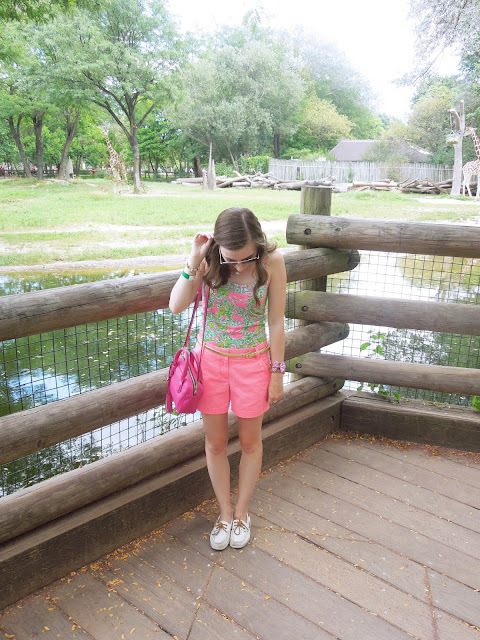 For a day at the zoo you do a lot of walking so comfortable shoes are imperative. Some Sperry's can get uncomfortable, but these are the best! 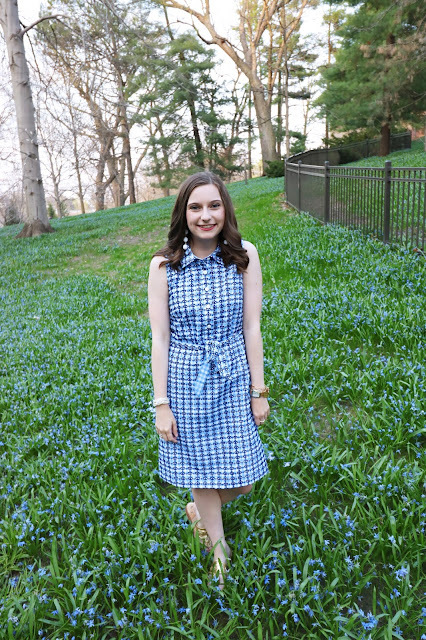 For accessories I wore my go-to vineyard vines gold skinny belt along with some of my favorite KJP bracelets of the moment. I couldn't help but wear my pink and green Vickers Bow bracelet with the elephants on it! My necklace is a simple Kendra Scott necklace which has been another go-to recently. 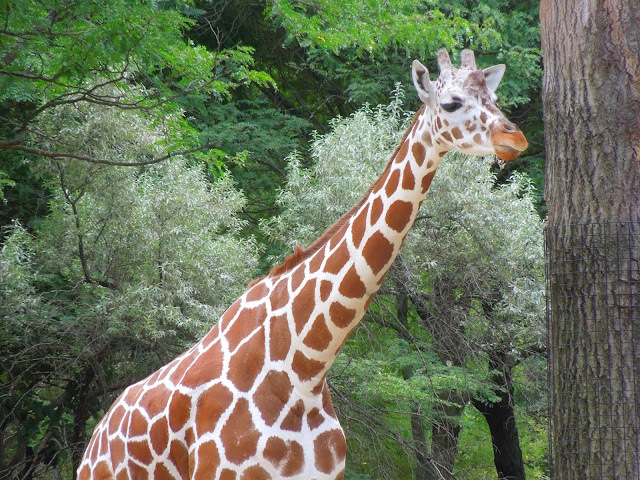 What is your favorite animal to visit at the zoo? Let me know in the comments!